Reliable watertightness test using the deformation principle. Universally usable for all types of watch, with or without bracelet. Automatically executed test cycle with pressure and vacuum. Numerical measurement results for the leakage rate. Automatic good / leaky evaluation. 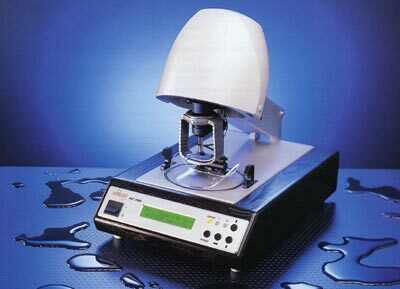 Automatic determination of the necessary stabilization and measuring periods for reliable results. Universal standard test program with fixed parameters. Simple programming of 10 test programs with individual parameters. Messages and instructions in clear text in a choice of 9 languages. Automatic locking and release of the test chamber. Connection port for a printer or PC.